-Eric Armit returns to work! The IBF super middleweight title changed hand as the relevantly unknown Plant outboxed and floored champion Jose Uzcategui twice on the way to a unanimous decision. Plant was giving away height and reach but boxed on the outside being quicker to the punch and using good movement to negate Uzcategui’s power and aggression. In the first round Uzcategui kept marching forward but was not throwing enough punches and unable to land anything of consequence or deal with the jab and move tactics of Plant. Early in the second Plant landed a quick left hook to the chin which put Uzcategui down. It was not a heavy knockdown and Uzcategui was up quickly and back on the prowl but Plant was just too quick and slick for him. Plant outboxed Uzcategui in the third but in the fourth was cut over his right eye in a clash of heads. That spurred Uzcategui into attacking fiercely but as he shaped to throw a left hook Plant fractionally beat him to it and dropped Uzcategui for the second time. Again Uzcategui was up quickly and taking the fight to Plant but he was just too slow to hunt Plant down. Plant took the fifth as he constantly pierced Uzcategui’s guard with his jab. Uzcategui finally won a round in the sixth. He let his punchers go more and did a better job of cutting off the ring forcing Plant to stand and trade. That proved to be a false dawn for Uzcategui as Plant outboxed him and outlanded him in the seventh and eighth to extend his lead. Finally the pace he had set began to tell on Plant and in the ninth he was no longer moving but standing in close and trading and Uzcategui had Plant reeling with some of his trade mark left hooks. Uzcategui had Plant hurt again in an exciting tenth rocking him with a terrific right cross. Plant saw the danger signs and went back to his boxing moving and jabbing and he edged the eleventh. 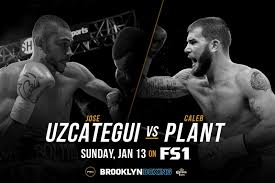 With the fight won Plant was just looking to stay out of trouble in the last and Uzcategui never really threatened to find the knockout he needed. All three judges had Plant a clear winner with Max DeLuca and Zachary Young both scoring it 116-110 and Lou Moret 115-111. It was a very emotional victory for Plant. When his 19 months old daughter Alia died two years ago Plant promised he would win a world title and he fulfilled that promise here. Plant 18-0 (10) was a huge underdog but with the IBF title is now a major player in the super middleweight mix. In the amateurs Plant, 26, won a gold medal at the 2011 National Golden Gloves but failed to progress throught the US Olympic Trials for the 2012 Games. 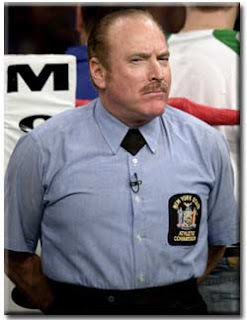 He made one appearance for the USA Knockouts, a winning one, in the World Series of Boxing. Mexican-based Venezuelan Uzcategui, 28, was a huge disappointment. He had impressed in 2018 with wins over Andre Dirrell and Ezequiel Maderna looking strong and dangerous. In this fight he was exposed as being one-paced and that pace was slow. Young Figueroa may be a new name on the block but he showed in this fight that he is definitely a fighter for the future as he overwhelmed and destroyed the former interim WBA and IBO champion Flores. “The Heartbreaker” from Texas holds the CompuBox record for the most punches thrown in a round and he lived up to that No 1position here. In the first he bombarded the more experienced Flores with a whole array of punches shaking Flores time and again with shots to head and body. Flores looked as though he had aged overnight as he was blown this way and that. He tried to stand and trade but Figueroa was constantly switching guards and scoring with jabs, hooks and uppercuts from both hands. It was more of the same in the second with Figueroa on top of Flores for the whole three minutes. Flores had a bit more success than in the first and Figueroa was marked around his left eye but again he had outpunched Flores all the way. Heads clashed a couple of time in the third and Figueroa was now cut over the left eye. That made no difference to the outcome as a huge overhand left from Figueroa crashed onto the side of Flores head and sent him down heavily. He made it to his feet but Figueroa jumped on him and stunned him with a long right. A series of punches rounded off by a big right cross sent Flores down again and the referee immediately waived the fight off. It was a few minutes before Flores recovered. Figueroa is still only 22 having turned pro at 18. Last time out in September he moved up to ten rounds for the first time and stopped former interim WBA champion Oscar Escandon in the last round. He is already rated WBA 5/IBF 9(7). Flores was 25-0, 2 No Decisions until losing to Daniel Roman for the WBA super bantam title in June last year. He was knocked out by Guillermo Rigondeaux in June 2017 but the kayo punched was ruled to have been delivered after the bell to end the first round so it was a No Decision. Another scarily impressive performance from Haney as he floors and outpoints previously unbeaten Ndongeni. The South African tried to establish his jab in a speedy first round but Haney had quicker hands and feet. Ndongeni tried some long punches but Haney closed the round by raking Ndongeni with a left hook, an overhand right and a vicious straight right. Ndongeni made a fast start to the second firing jabs and overhand rights and showing some sharp movement but as he moved across the front of Haney he was nailed with a right hook that sat him on his rump. Ndongeni was up quickly and for the rest of the round he used clever footwork and upper body movement to frustrate Haney’s attempts to catch him again. In a close third Ndongeni scored with a couple of good rights and a left hook but Haney finished the round strongly with jabs and rights of his own. A low key fourth also went to Haney as he was getting his punches off first and dodging Ndongeni’s. Haney upped the pace in the fifth. He hounded Ndongeni for three minutes firing more combinations than in the earlier rounds. The pressure was forcing errors from Ndongeni and Haney made him pay for them. The sixth was closer. Again Haney did the pressing and was landing lightning quick jabs and strong rights but Ndongeni did some good work to the body. Haney had been taking the close rounds but Ndongeni had a good seventh. He was able to take Haney to the ropes and work to the body. Haney was coming up short with his jabs-apart from one that jarred loose Ndongeni’s mouthguard-and he outworked Haney to edge the round. It had been Ndongeni’s tactics to make a strong start to each round and he did that in the eighth. He rattled Haney with a couple of long rights to the chin but then Haney began to move inside cutting down Ndongeni’s space and landing short vicious shots inside. He rocked Ndongeni with a left hook and the South African began to hold for the first time in the fight. Haney ended the round with a series of right to the head with Ndongeni looking to be in trouble and tiring. Haney dominated the ninth. He stalked Ndongeni around the ring getting inside and working the body with Ndongeni relying on wild rights but always missing. After a slow start to the last Haney forced Ndongeni to the ropes and just kept firing hooks with both hands and kept Ndongeni there to the bell. Scores 100-89 twice and 99-90 for Haney. Although the highest rating Haney had before this fight was No 8 with the WBA the 20-year-old “The Dream” is on his way to a world title shot either by the end of 2019 or early in 2020. He has prodigious talent. A natural with moves you can’t teach a fighter so there are exciting times ahead for Haney. Ndongeni “The Wasp” was set an impossible task for his second fight in the USA but he showed enough to indicate he is capable of giving most rated fighters a tough night and will be in some big fights in the future. Sanchez dismantles Jake inside two rounds. Sanchez forced the fight hard in the first with the heavier Jake not quick enough with his punches or his movement to compete as Sanchez connected with some powerful rights. There was then a delay for a problem with the ropes Sanchez then continued pressing the heavier Jake who tried to tie-up the unbeaten Cuban on the inside. Sanchez shook himself loose and landed a crunching right to the head. Jake backed into a corner and then under a series of punches from Sanchez he slid down the ropes and ended face down on the canvas. The referee started to count but then waived the fight off. The one big right that Sanchez did throw in that series landed on the left glove of Sanchez and it looked like Jake was taking the easy way out. The 26-year-old 6’4” has nine wins by KO/TKO. His No Decision came when he bundled his opponent through the ropes and he was unable to continue. Sanchez was an elite level amateur. He won a silver medal at the Pan American Youth Championships and thrice won a bronze medal in the Cuban Championships. His best result was a victory over Erislandy Savon in taking a gold medal at the Cuban Giraldo Cordova Cardin tournament. He looks powerful and is one to watch. Southpaw Jake had won his last five fights but against inferior level opposition and this is his second loss b y KO/TKO. Santa Ynez, CA, USA: Super Welter: Madiyar Ashkeyev (11-0) W PTS 10 Luis Hernandez (16-7). Middle: Meiirim Nursultanov (10-0) W KO 2 Ramon Aguinaga (13-2). On a mixed night for the Maidana family Marcos stages his first promotion and younger brother Fabian loses for the first time as a pro in a clash of younger brothers”. 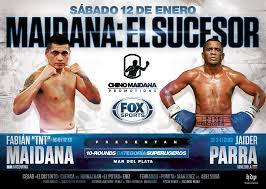 Parra, the younger brother of former WBA flyweight champion Lorenzo, proved too experienced and clever for Maidana. The visitor took a round to get into his stride but then proceeded to outbox Maidana. Parra was able to penetrate Maidana’s defence with jabs and sharp rights and was ducking under and around Maidana’s punches and took the third. Maidana managed to trap Parra on the ropes and land some hooks in the fourth but a right in the fifth opened a cut on Maidana’s left eyelid and Parra did most of the scoring in the sixth and seventh. With brother Marcos climbing into his corner Maidana finally landed some heavy punches in the eighth and rocked Parra with a left in the last but by then it was already a lost cause. Scores 98 ½-94, 98 ½-94 ½,97 ½-95 ½ all for Parra. The 36-year-old Venezuelan lost inside the distance in challenges for both the WBA super feather and interim lightweight titles and had won 10 of his last 11 fights. It would have been 11 out of 11but after he stopped Spanish prospect 20-1 Nicolas Gonzalez in January 2017 he tested positive for Clenbuterol and the result was changed to a No Decision. This win over Maidana will generate more work for Parra. Maidana, 26, had scored wins over Johan Perez and Andrey Klimov and was rated No 9 by the WBA. He was looked upon as one of the best prospects in Argentina but even though his trainer Manny Robles was flown down to be in his corner he was flat and flummoxed by the more experienced Parra. With Eniz only rated No 9 in the National ratings he looked a comfortable opponent for the return to the ring of former IBF lightweight champion and fellow southpaw Cuenca. This was Cuenca’s first fight since April 2016 and not surprisingly the young Eniz dominated the first two rounds. Cuenca began to find the target in the third and was expected to pick up the pace and kick on from there. That did not happen. Using a focused body attack and some vicious hooks Eniz put himself in front over the middle rounds. There were plenty of fierce exchanges with both landing heavily but although Cuenca finished strongly he was well beaten. Scores 98-94, 98-94 ½ and 97 ½-94for Eniz. The 24-year-old from Dolores was 2-2 in 2018 scoring two low level wins but being knocked out in seven rounds by unbeaten Kazak Batyrzhan Jukembayev in Montreal before performing above expectations in losing a split verdict to unbeaten Luis Veron. This win will boost his profile way up. Cuenca, 36, lost his IBF title to Eduard Troyanovsky in 2015 and was stopped in seven rounds in a return match in 2016. No talk of retirement from Cuenca. Minor upset as Tamura wins the vacant National title at the second attempt . 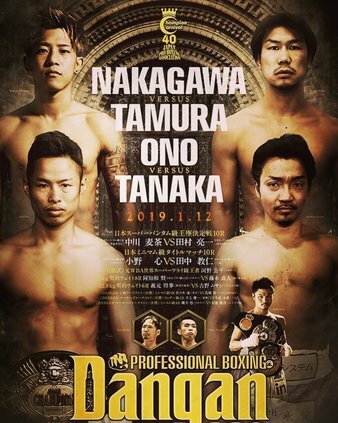 With 14 wins in his last 15 fights Nakagawa was the favourite but Tamura was off the mark quickly attacking strongly and scoring well to head and body. Nakagawa answered the pressure with some strong jabs and uppercuts but Tamura outscored him and at the half way mark was up 50-45, 49-46 and 48-47 on the three cards. With his greater experience Nakagawa was expected to claw back the deficit over the second half of the fight and although he landed some sizzling rights it was Tamura who was stronger blunting Nakagawa’s attacks and emerging a comfortable winner. Scores 99-91 twice and 97-93 for Tamura. He was 3-2-1 at the start of his career but has turned things around with 9 wins in his last 10 fights with the loss being in a challenge for this title in 2017. Nakagawa, 30, had won 14 of his last 15 fights but this was only his second fight scheduled for ten rounds. To his credit he is canvassing with some success for cloud funding to help children in the Philippines. Fight of the week (Entertainment): Plant vs. Uzcategui supplied plenty of action. Fighter of the week: Has to be Plant but with honourable mention to Devin Haney. Upset of the week: Plant beating Uzcategui was unexpected as was Jaider Parra’s victory over unbeaten Fabian Maidana, Parra vs. Maidana. 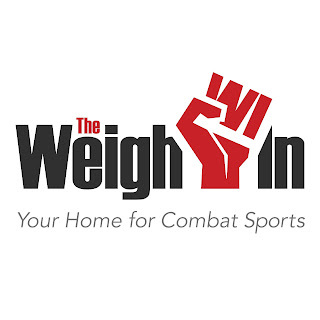 Prospect watch: Plenty on show this week with Brandon Figueroa, Meiirim Nursultanov and Frank Sanchez all impressing.